Bangalore, June 2 : IT bellwether Wipro has bagged an order to provide cloud-based managed services to digital cable and broadband service provider DEN Networks. The deal will enable DEN to transform into a B2C (business-to-customer) from B2B (business-to-business) firm. "The 10-year-long contract will enable DEN to provide its customers, local cable operators and partners with real-time services, ensuring continuous engagement and zero downtime," the global software major said in a statement here Monday. According to some reports, Reliance Industries Ltd is planning to pick up stake in cable operators Hathway Cables and Den Networks. 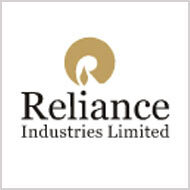 RIL has expressed interest in purchasing a minimum of 26 percent stake in the operators. A company spokesperson has indicated that the company was in talks with various cable operators for creating partnerships and entering into content deals. Cable distribution firm Den Networks has announced its first quarter financial results for the fiscal year 2010-11. According to the report, it has registered a significant three fold rise in the net profit. Den Networks has posted a net profit of Rs 10 crore for the quarter that ended in 30th June, 2010 which is almost three times of the net profit figure of the corresponding quarter in the last fiscal. The company has registered a net profit of Rs 3.24 crore in the same quarter in the previous year. Den Networks has increased its footprint in the company by launching its services in Kerela named as Digitelly. Initially the services will be rolled out in 8 districts including Cochin, Thrissur, Mallapuram, Palakkad, Kannur, Kottayam, Allepey and Trivandrum. Den Networks is one of the largest cable television company in the country and its services reaches around 11 million homes in India. Digitelly that presently bring a whole gamut of services for its consumers like games, blog, telly will also come up with an interactive 24X7 music service with 10 Genres. Den Networks Limited, one of the largest national cable television companies in India, has decided to enter the capital market on October 28, 2009 with an initial public offering (IPO) of up to 2 crore equity shares of Rs 10 each for cash at a price to be decided through a 100% book-building process. The price band has been fixed at Rs 195 to Rs 205 per share. The issue will close on October 30, 2009.